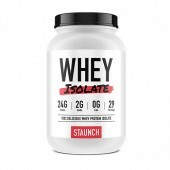 Twin Pack Muscle Milk Protein Shake Mix 2.24kg 41 Serves The search for an awesome source of..
Staunch Nutrition Whey Isolate 2.4lb The "whey" for you to get the purest protein has just turned..
BSN Syntha-6 Edge 4lbs Syntha-6 Edge by BSN is an all new Lean Low Carb Protein Po.. Bundle Deal - MuscleTech Nitro-Tech 100% Whey Gold 5.5lbs 2.51kg Get whopping 24g of Ultra-P..
Twin Pack Ghost 100% Whey Protein The Ghost that you'll surely love has just turned in at Rockhar..
Horleys 100% Whey Plus 2.5kg BONUS GIFT: ROCKHARD SPORTS MIXER BLENDER SHAKER + TOWEL The..
Horleys 100% Whey Plus 1kg The best “whey” for you to ensure fat muscle recovery and maintain lea..
Horleys Ice Whey Protein Isolate 2.5kg BONUS GIFT: ROCKHARD SPORTS MIXER BLENDER SHAKER + TOWEL ..
Buy Whey Protein Isolate Supplements Australia at RockHard Supplements. Useful Info About Whey Protein Isolate.. Protein can be found in a variety of foods--mainly meats, such as fish, beef, and chicken. Dairy products as well as eggs, cottage cheese, soy and vegetable protein also contain good amounts of protein. Nevertheless, none of these sources compares in quality or ease of use like ionic whey protein. Ionic whey protein has the highest value in providing branched-chain amino acids, which result in building and retaining muscle tissue. Our Ionic Whey Protein Supplement is microfiltered and ion-exchanged for pure high quality muscle-building power... and it is available from Rockhard Supplements. Whey protein is very, very important for bodybuilders, dieters, and shoot, just about everybody! Since athletes and bodybuilders work out often, protein levels become depleted. By being a direct precursor to building muscle and essential amino acids, such as glutamine (a muscle enhancer, endurance builder, and muscle deterioration reducer), the content from high quality whey protein not only can, but will help one's muscles recover and grow faster by bring up the levels of protein. With dieting and those wishing to lose some extra fat, whey protein can be very useful because a good intake of protein balances blood sugar levels, while carbohydrates cause blood sugar levels to fluctuate. When the blood sugar levels stay balanced, one is not as prone to rampant eating and has more energy and greater fat loss. Whey protein allows a person to control his or her diet effectively. Most people who want to change their body for the better could benefit from whey protein supplementation; however, since protein is naturally found in many food items deficiency is usually not a problem. Training athletes often consume 25 grams of whey protein per day. Bodybuilders who want serious gains (and are burning serious calories), generally consume 150 grams per day. Extremely high doses of whey protein is not recommended, as this will cause the body's liver to be overloaded and you won't get the same benefits as with a consistent lower amount taken three to five times per day. This study, conducted at University of Texas Medical Branch, measured the amount of uptake of the amino acid L-phenylalanine into healthy leg muscle tissue in one of three protein shakes. The shakes were consumed one and two hours after intense leg training and provided about 6 grams of protein, 34 grams of carbs, or both per shake for a 150 bodybuilder. The L-phenylalanine uptake in the protein and carb shake was measured as being three times higher than the carb shake and roughly twice as great as the amino shake! So, there you have it! As you know, the postworkout shake is the most critical meal for your increased anabolism. Make sure you're getting some carbs in your postworkout shake for best results.